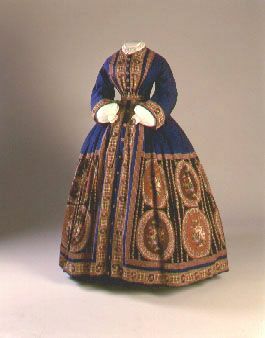 1870s silk gown and paisley shawl.This is a double mount: for the dress itself, and also for the shawl. 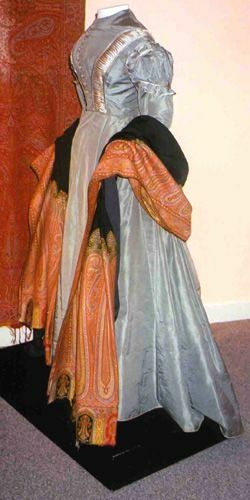 The arms of the mannequin were reinforced and bendable in order to support the shawl's weight and to allow it to be draped as it would have been worn. 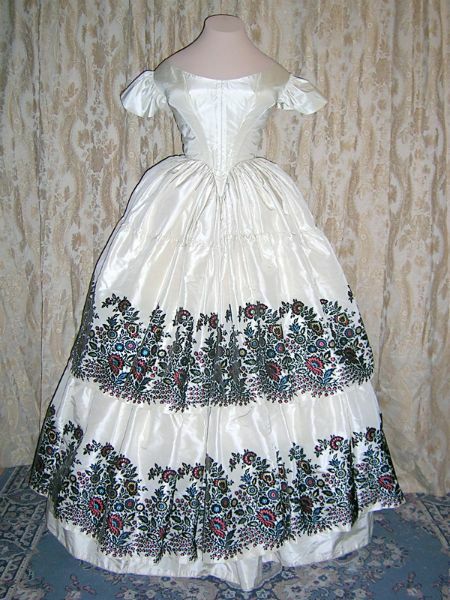 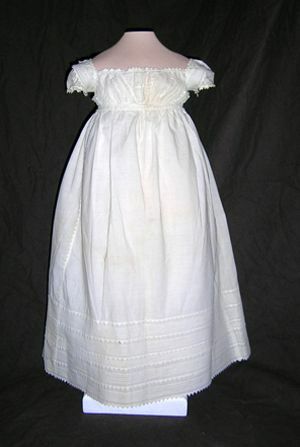 Courtesy of the Irma Bowen Textile Collection, UNH Museum.